Edible cookie dough is all the rage these days. 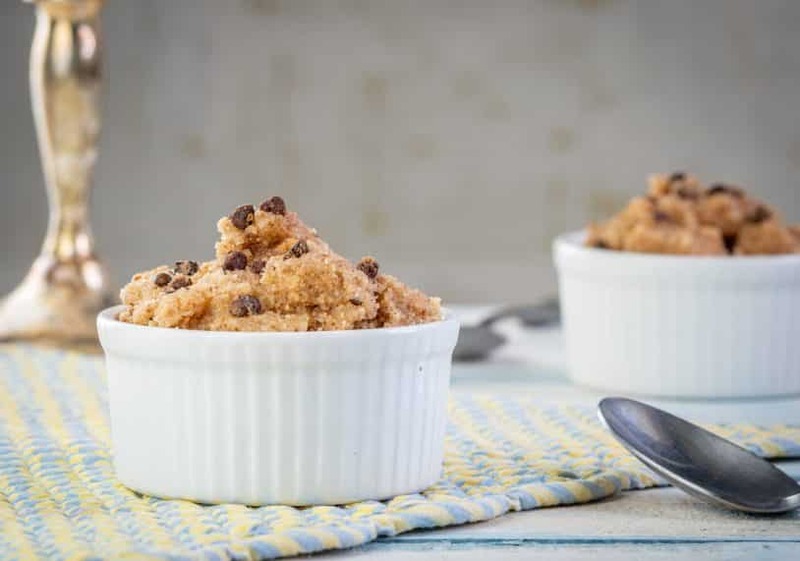 This keto edible chocolate chip cookie dough is tasty and can be eaten right away without worry! We might be alone in thinking this, but I know we aren’t. Chocolate chip cookies are one of life’s greatest joys. Thankfully, it’s not a secret and (probably) most everyone knows this. Unlike the age-old “chicken and egg” debate, we don’t have to guess about which came first, the cookie or cookie dough. 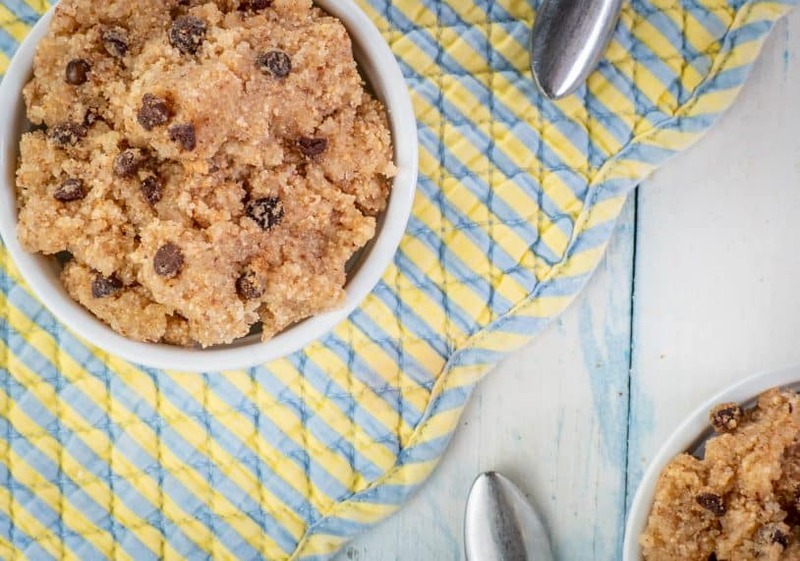 A spoonful of cookie dough might have been one of your guilty pleasures pre-keto. I know I’ve had one or many spoonfuls before in my life. We’ve all heard that eating raw cookie dough isn’t a good idea. But… we’ve done it anyway. Removing raw eggs is a start to making cookie dough “safer” to eat, even though raw eggs are not as dangerous as you may think. 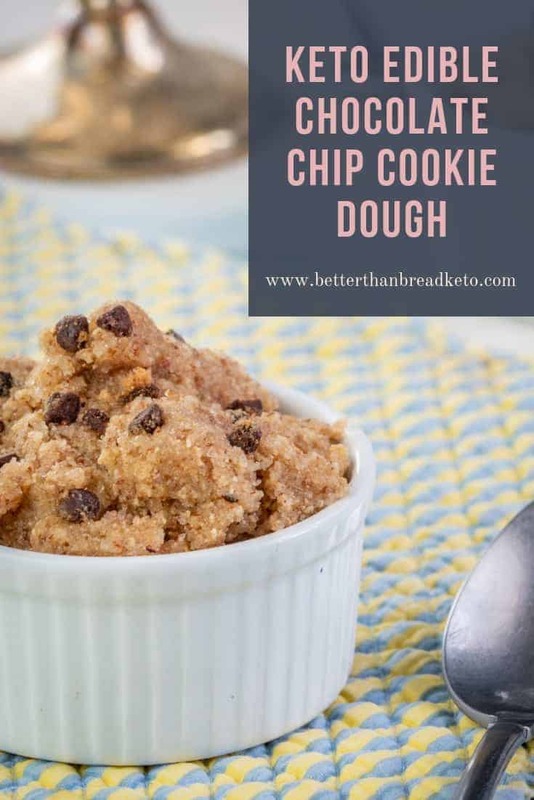 Becuase we love cookie dough (and be honest, you do too) we had to figure out how to bring a keto edible chocolate chip cookie dough to the world. This cookie dough will go a long way in satisfying your sweet tooth, all while bringing back memories of the cookie dough eating days of old. Bit of a “pro-tip” for this recipe… Refrigerate your dough mixture for thirty minutes or so after mixing for a thicker “dough” consistency. 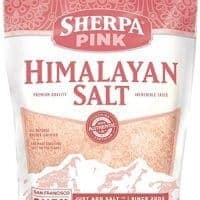 You can definitely eat it right after mixing, though. You can leave the mixture in the refrigerator for up to three days, or roll pieces of it into balls for some quick chocolate chip cookie dough fat bombs. One more pro-tip… DO NOT try and bake this mixture! It will NOT under any circumstances turn into cookies! For those, give our Chocolatey Keto Chocolate Chip Cookies recipe a try. 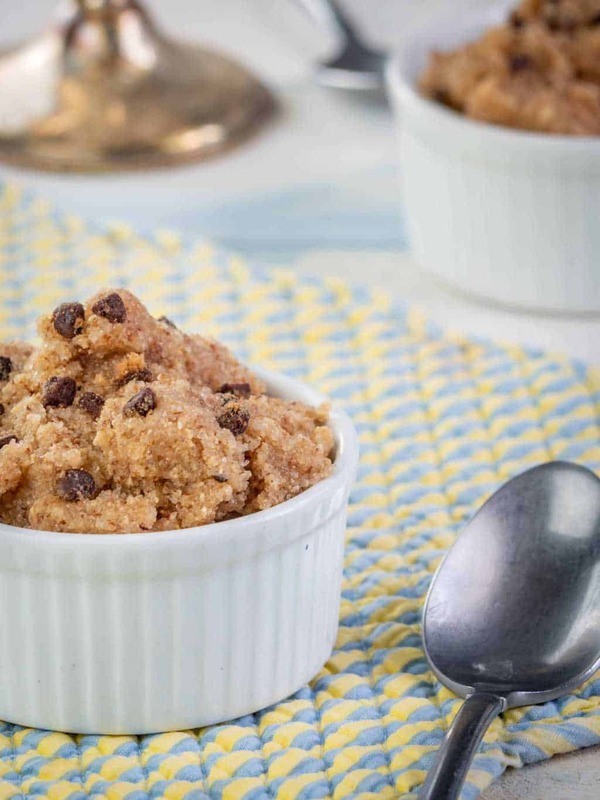 Go ahead and treat yourself with a batch of this keto chocolate chip cookie dough. It’s easy to make and super tasty to eat. Grab a spoon (don't forget to share) and enjoy! 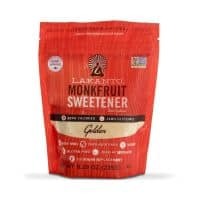 Am I able to use Swerve Confectioner sweetener instead of the monk fruit? If so, how much do you think I should use? You are can use Swerve if you wish. Since you can test this as you go, I would start with a lesser amount and add until it is sweet enough for you. Simple and delish. I LOVE Lakanto, especially the golden in chocolate chip cookie dough. My husband is thrilled to eat “raw cookie dough”…Honestly, so am I. So glad to hear it! We love the golden Lakanto because it reminds us so much of the wonderful taste of brown sugar! You probably could, but it would be best to fold in bits of the cookie dough after the ice cream has been made. We aren’t sure that it would do well being put into an ice cream mixer. You might be able to, but it probably wouldn’t turn out. 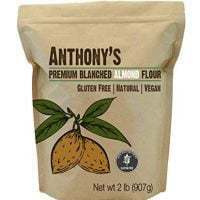 This recipe doesn’t have any of the extra components in it like baking powder, to make actual cookies.